Bake for 50 minutes, or until tender. Remove sheet. Set oven to broil. Top potato with melted butter, brown sugar, and a dash each cinnamon and salt. Carefully place marshmallows into the slits of the potato. Broil until marshmallows puff up and lightly brown, about 30 seconds. 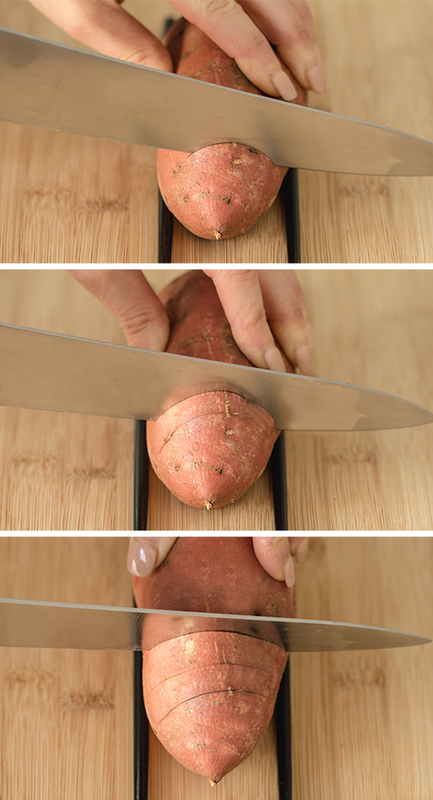 HG Tip: When slicing the sweet potato, place it between two chopsticks on the cutting board. This will prevent you from slicing through to the bottom. Check out this how-to photo! 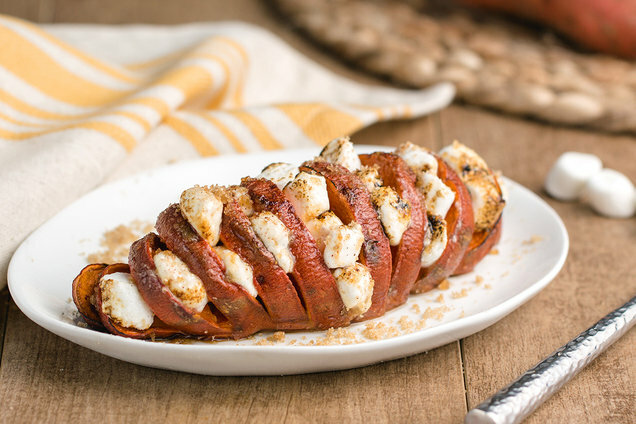 Hungry for More Sweet Potato Recipes? Today, November 15th, is National Clean Out Your Refrigerator Day. For some smart-eating staples to stock up on after cleaning, grab a copy of Hungry Girl Supermarket Survival! Sweet potato season is in full swing -- click "Send to a Friend" to share ASAP!